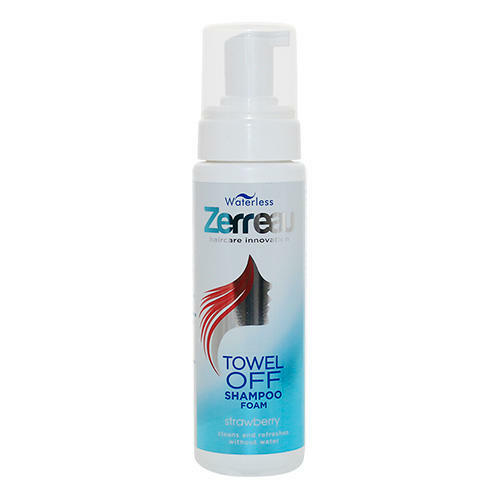 ZERREAU® TOWEL OFF® Shampoo is a brand new concept in hair washing, allowing you to wash your hair properly but with absolutely no water required. 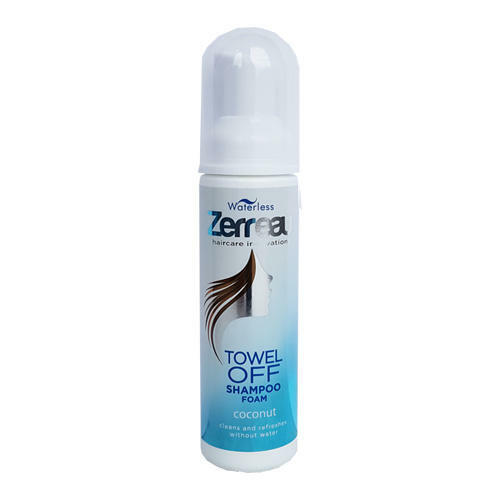 It really cleans effectively, even removing product such as hairspray, wax or gels. Leaving you with soft clean lushious locks! 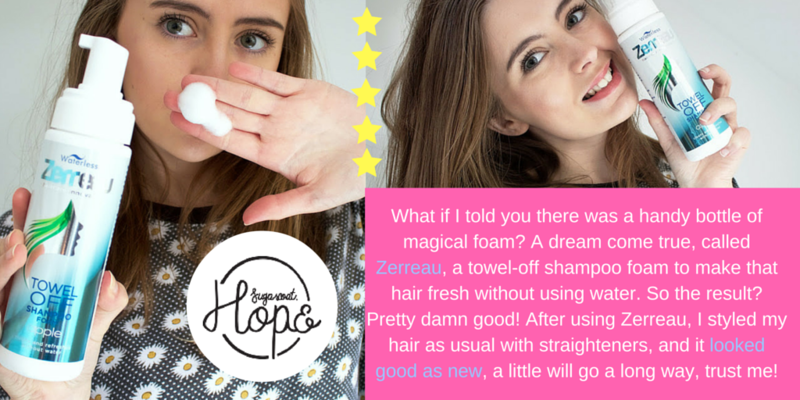 Zerreau is NOT a leave in product and its NOT a dry shampoo either! 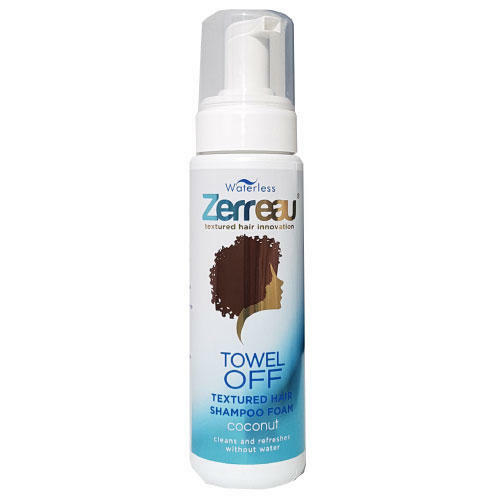 Wash your hair effectively without water. Ideal for busy lifestyles, meetings, impromptu dates, gyms, and festivals and camping so you can wake up a bit later and look glamorous and clean ! For thick or long hair complete process in sections. 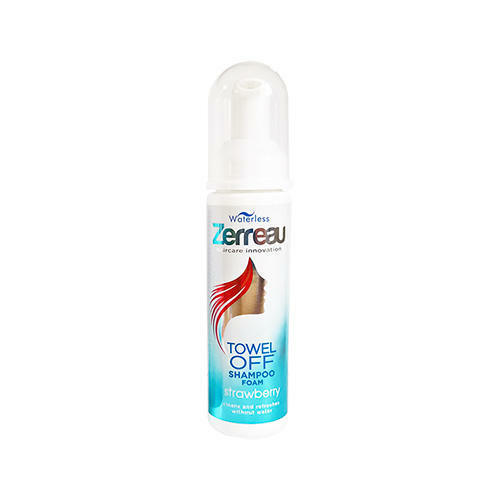 Zerreau works by applying a wet foam directly to the roots, massaging to release dirt, grease and any product into the foam, then removing whilst still wet and soapy - by thoroughly towel drying! All packing recyclable. Please check with your local authority for local recycling. Avoid eye contact, rinse with water if contact occurs. 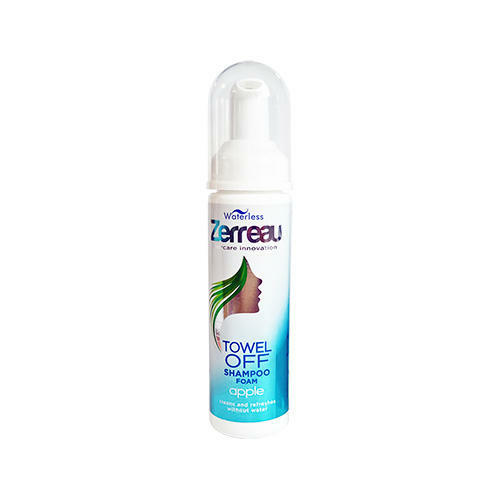 For sensitive skin, test before use and discontinue if irritation occurs.